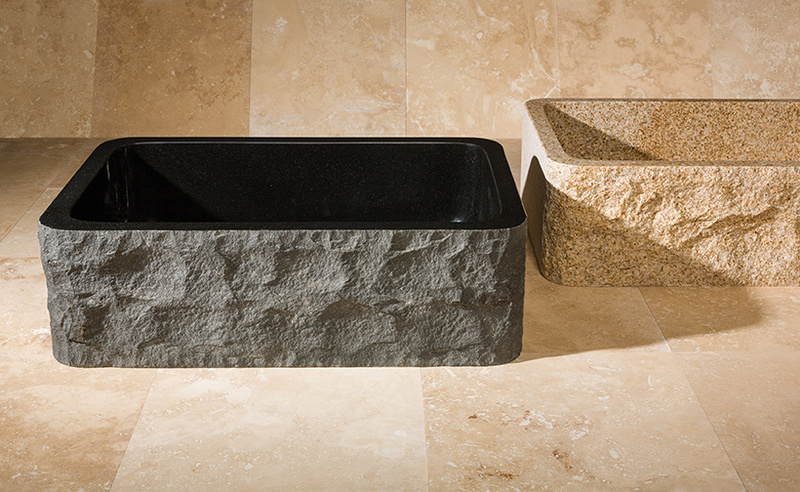 Apron-front sinks combine traditional and modern elements into one stylish selection. one: Vault, by Kohler, available at Crescent Plumbing Supply, Ferguson, Kohler Signature Store and Premier Plumbing Studio. 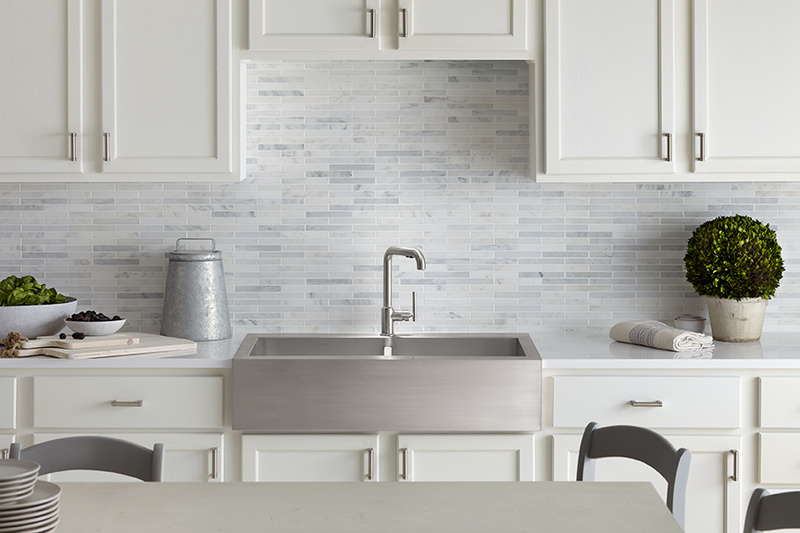 two: Whitehaven with hayridge design, by Kohler, available at Crescent Plumbing Supply, Ferguson, Kohler Signature Store and Premier Plumbing Studio. three: Zuma, by Native Trails, available at Crescent Plumbing Supply, Ferguson, Henry Plumbing, Immerse by Atlas, Karr Bick, Premier Plumbing Studio. four: Pinnacle, by Native Trails, available at Crescent Plumbing Supply, Ferguson, Henry Plumbing, Immerse by Atlas, Karr Bick, Premier Plumbing Studio. 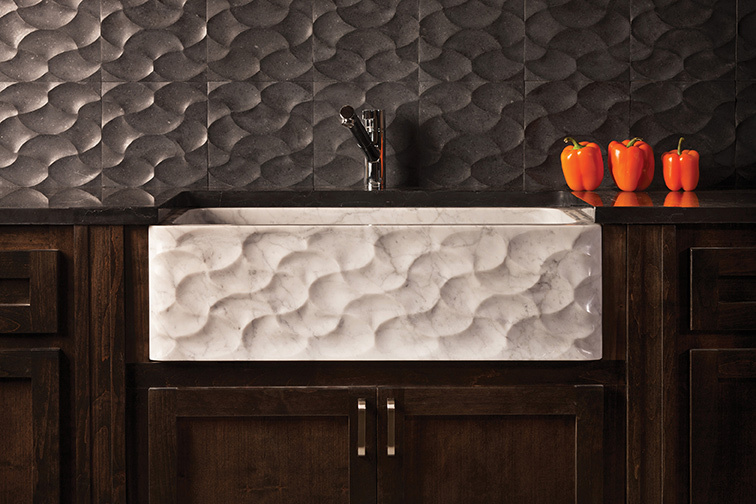 five: Wave front farmhouse sink in honed basalt, by Stone Forest, available at Crescent Plumbing Supply, Henry Plumbing, Immerse by Atlas, Premier Plumbing Studio. six: Farmhouse inset apron front, by Linkasink, available at Crescent Plumbing Supply, Immerse by Atlas, Premier Plumbing Studio. 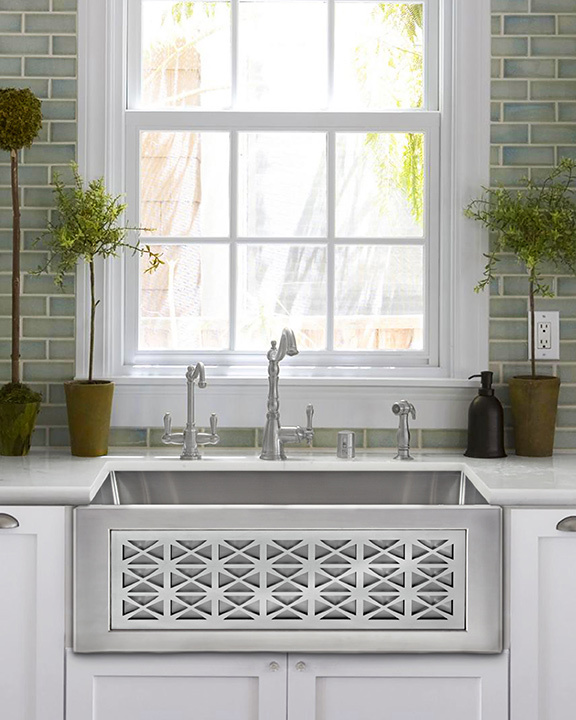 seven: Fireclay double bowl farmhouse sink, by Elkay, available at Crescent Plumbing Supply, Ferguson, Immerse by Atlas, Premier Plumbing Studio. 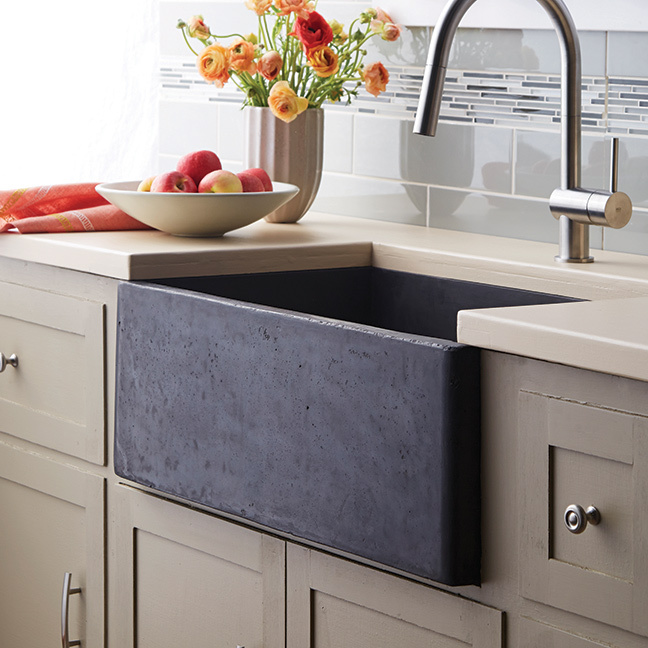 eight: Farmhouse sink with chiseled apron, by Stone Forest, available at Crescent Plumbing Supply, Henry Plumbing, Immerse by Atlas, Premier Plumbing Studio. nine: Farmhouse 3018 in slate, by Native Trails, available at Crescent Plumbing Supply, Ferguson, Henry Plumbing, Immerse by Atlas, Karr Bick, Premier Plumbing Studio. 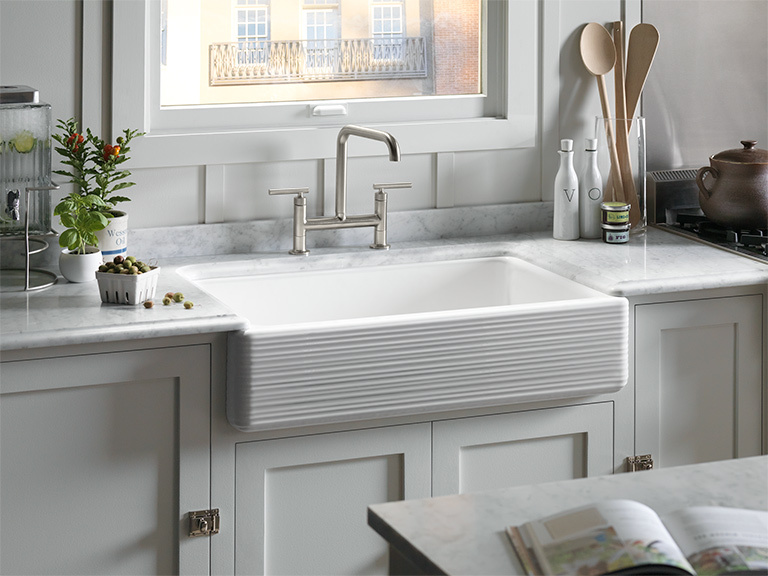 Apron-front sinks combine traditional and modern elements into one stylish selection. 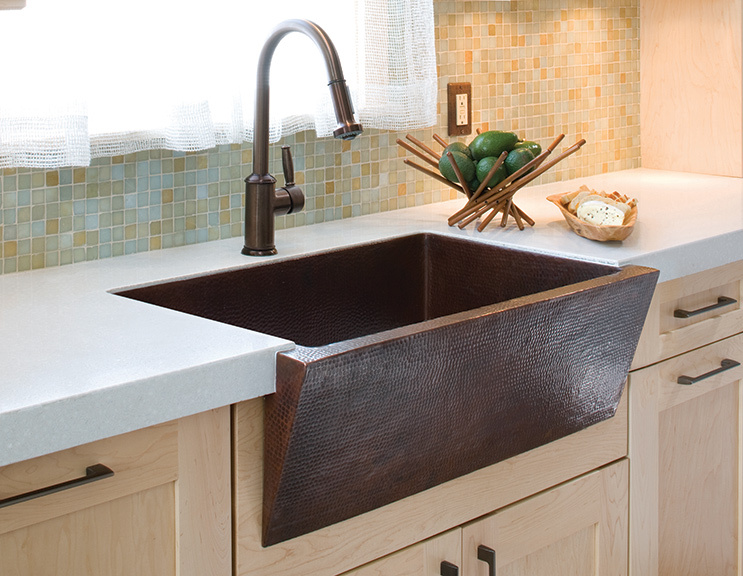 With exposed-bowl fronts, apron or farmhouse sinks are bigger and deeper than the traditional dish-stashing spot. 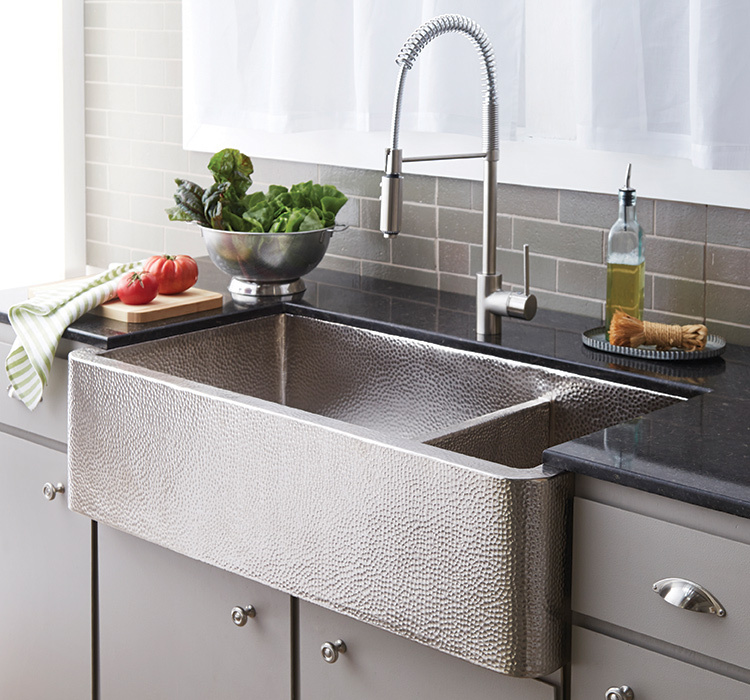 five: Wave front farmhouse sink in honed basalt, by Stone Forest, available at Crescent Plumbing Supply, Ferguson, Henry Plumbing, Immerse by Atlas, Premier Plumbing Studio. six: Farmhouse inset apron front, by Linkasink, available at Crescent Plumbing Supply, Ferguson, Immerse by Atlas, Premier Plumbing Studio. 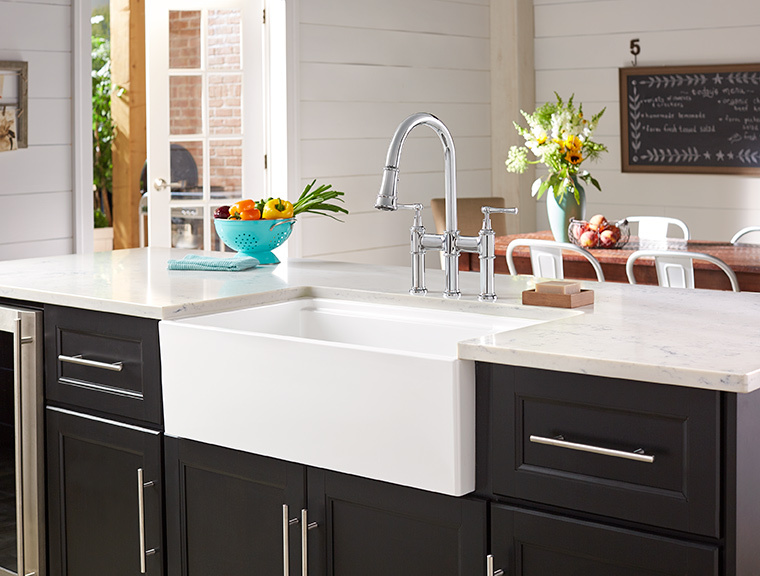 eight: Farmhouse sink with chiseled apron, by Stone Forest, available at Crescent Plumbing Supply, Ferguson, Henry Plumbing, Immerse by Atlas, Premier Plumbing Studio.